Today I have a NOTD post for you, as always I will tell you the products I used and give you a review of them. 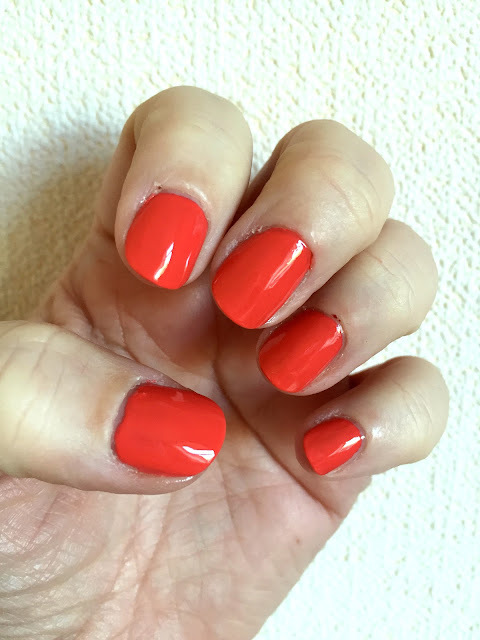 I used a MAC polish for the first time ever for todays NOTD, it is in the shade Impassioned which I also have in lipstick form and adore so I was super excited to use this polish. I used 2 coats of the Impassioned nail polish allowing each coat to dry fully in between, the polish has a standard nail polish brush and applied well, each coat dried well and wasn't streaky, it isn't a fast drying nail polish and I would say the drying time is average. 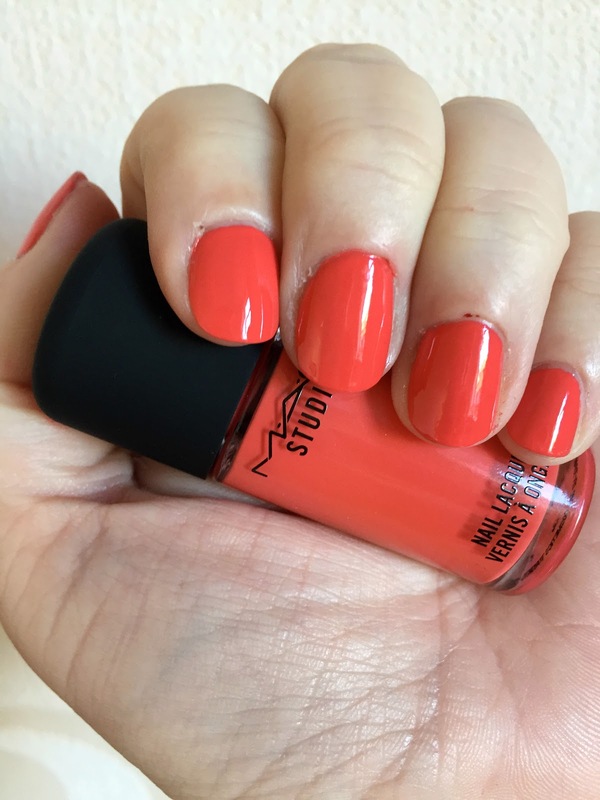 Impassioned is a lovely colour, it is different from the lipstick which surprised me, I thought it would be exactly the same as the lipstick but it isn't, the lipstick is a bright pink/coral toned where the nail polish is an orange toned coral but more on the orange side than coral, it is a lovely shade but just not what I expected. I really liked the polish, it applied well and wore well, it lasted around 4 days before chipping, I used the Maybelline 3D Plumping top coat as my top coat, I am going to try Impassioned with my beloved Orly Glosser top coat to see if I can get a longer wear time from it, but it lasted well with the Maybelline, I do prefer my Orly glosser top coat though and it continues to be my holy grail top coat. 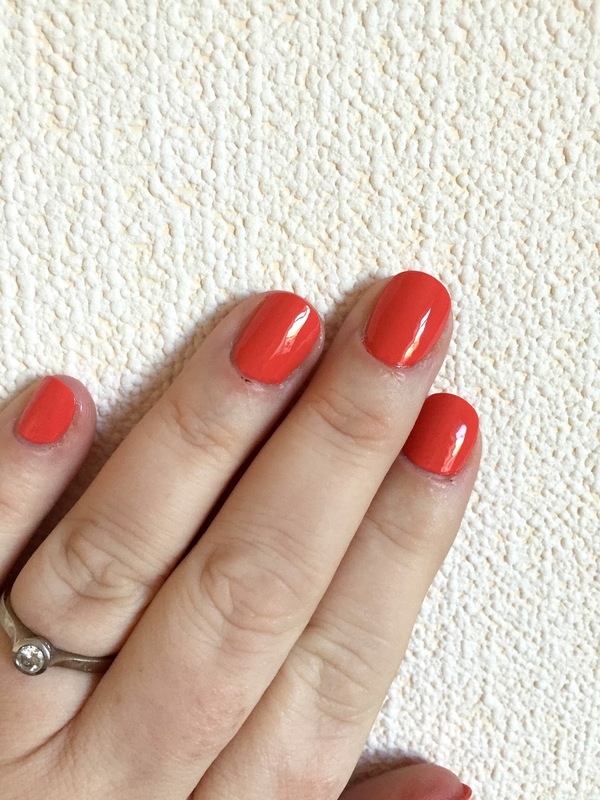 I do have a review of the Maybelline 3D Plumping top coat on my blog here if you would like to read it. Overall I liked the polish, as I said it is the first MAC nail polish I've tried and I did really like it, however I don't think I'd be in a rush to buy anymore purely because of the price of them. Impassioned was a birthday gift which is lovely and I do love it but it wasn't groundbreaking enough for me to go out and spend £10 each on more shades, if I wanted a specific shade I would definitely buy it but I wouldn't buy others just to try as they are expensive. If you would like to try MAC Impassioned nail polish, you can find it on the MAC website HERE for £10.00 for 10ml. 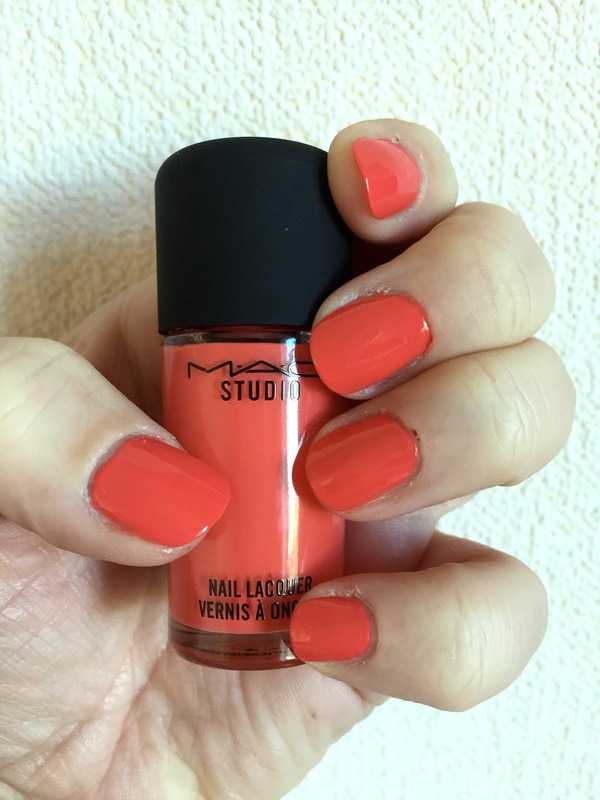 Have you tried a MAC nail polish? Did you like it and would you or have you bought more? Chat with me in the comments and let me know, I'd love to know your thoughts.